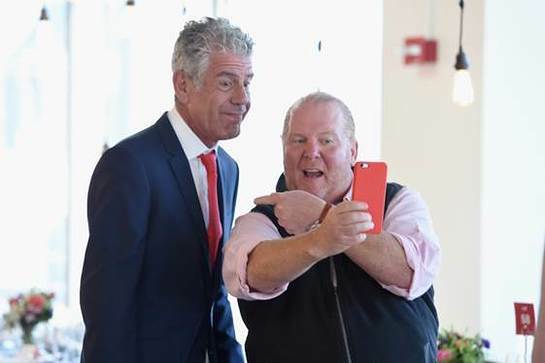 THE (RED) Supper took place in NYC last week, hosted by Mario Batali and Anthony Bourdain. “The (RED) Supper is anything but your average charity dinner. It’s the only culinary event where guests get to eat an unbelievable family-style meal paired with Josh Cellars Wine, interact directly with the chefs, drink (BELVEDERE)RED cocktails and (BILLECART-SALMON)RED champagne, rock out to fantastic live music, receive tips at the table from the biggest food Instagrammers and participate in a live art installation!” said Mario Batali.